First entering service in 1979, the fast jets have been used in operations across the world, most recently bombarding Daesh to push the terrorist group back through Syria and Iraq. Families and friends of the present-day squadron members were on hand to welcome them back to RAF Marham, Norfolk, on Tuesday afternoon. 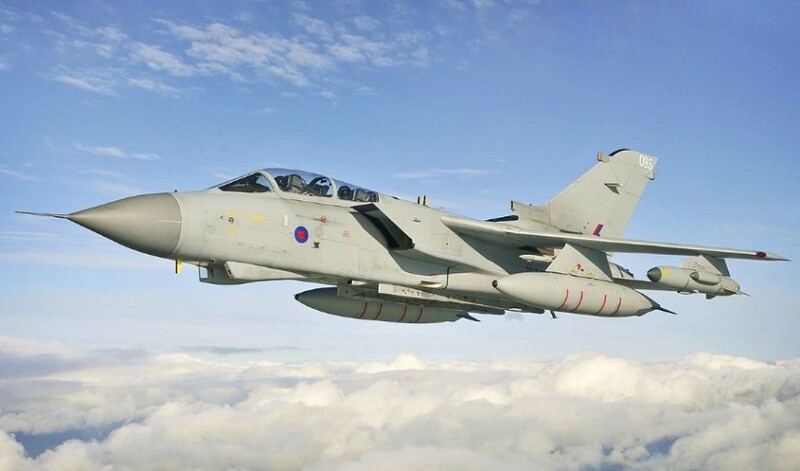 The weapons capabilities of the soon-to-retire Tornados are now being delivered by Typhoon jets, which will continue to take a leading role in the Coalition’s mission against Daesh. Under ‘Project Centurion’ the Typhoon can now also launch the world-leading Meteor air-to-air missile, the Stormshadow deep strike cruise missile and the precision attack missile Brimstone. These improved RAF Typhoon jets will form the backbone of the UK’s combat air fleet, alongside the recently introduced new fleet of F-35 Lighting jets over the coming years. The Tornado will be officially retired from service at the end of March and will only be used for training purposes over the UK in the intervening period.